February 27, 2015 “ICH” – AIPAC (The American Israel Public Affairs Committee) and affiliated organizations have long been bending politicians’ ears and filling their pockets, supporting the brutal occupation of Palestine and trying to push the US into war with Iran. Racism is the force that both helped to create and now helps to sustain and justify the brutal occupation of Palestine and the accompanying police state. Now is the time to connect the dots and challenge state-sponsored violence and racist police at home and abroad. Whether your motto is #FreePalestine or #BlackLivesMatter, we must unify our movements to call for an end to global militarism and the plague of racism. February 28th – March 3rd, when war criminal Israeli Prime Minister Netanyahu will be in DC to address AIPAC and a joint session of Congress, join activists from around the country to #ShutDownAIPAC! Evil with a Nice Face – Part II . . . nothing is left out . . . for your weekend reading!!! GLOBAL PROCESSES IN MOTION HAVE COME TO A HEAD, AND THE RELEASES OF MAJOR FUNDS FOR REDEMPTIONS OF HISTORIC ASSETS, THE RV, AND VARIOUS PROGRAMS ARE ALL SCHEDULED NOW TO START IN THE FIRST WEEK OF MARCH NOW THAT THE CHINESE NEW YEAR IS REALLY OVER. THERE ARE SEVERAL THINGS THAT TIE IN NOW. REMEMBER SOME MONTHS BACK WHERE I SAID THAT THE BAD GUYS WOULD NOT BE ABLE TO LAUNDER MONEY BECAUSE OF THE SCRUTINY THAT WAS TO BE IMPOSED? WELL, THAT HAS BEEN IMPLEMENTED ALONG WITH THE NEW GLOBAL CENTRAL BANK THAT NOBODY, INCLUDING THE USA, HAS A SAY IN? THE ONE DESIGNED FOR OUR HUMANITY? IT IS HERE AND IN EFFECT. 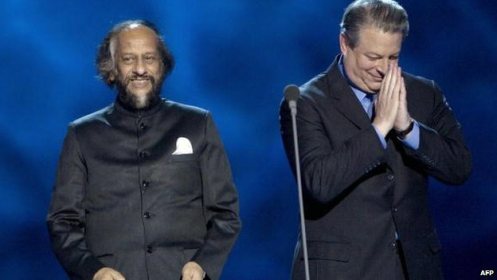 The head of the UN climate change panel (IPCC), Rajendra Pachauri, has resigned amid sexual harassment allegations. In a letter to UN Secretary General Ban Ki-moon, Mr Pachauri said he was unable to provide strong leadership. Indian police are investigating a complaint from a 29-year-old woman working in his office in Delhi. Lawyers for the woman say the harassment included unwanted emails as well as text and phone messages. Mr Pachauri has denied the allegations. Mr Pachauri, who had chaired the IPCC since 2002 and whose second term was due to end in October this year, denies any wrongdoing and says his email account and mobile phone were hacked. His office at the Energy and Resources Institute in Delhi (TERI) said he had gone on “long leave” from the organisation. This article presents another example of how “the economy” is helping to “drive” farmers (and stores like Target) away from GMO and back to non-GMO and organically grown foods. At one point, I recall hearing (David Wilcock?) that the whole GMO paradigm would die a “natural” [sic] death. And perhaps that’s what is happening now. In my mind, no matter the means, “The Energies” are bringing new awareness to people, and farmers, and even corporations. There is also a video in the original Al Jazeera article, so I’ve included it below, and in the article, which Jim omitted. There was a key word misspelled in Jim’s copying of the AJ text, so after Jim’s editor’s comment, I copied the text directly from the original Al Jazeera article. Leaked documents reveal South Africa challenged Mossad over alleged clandestine security operations under El Al cover. [Editor’s Note:Inquiring minds have to ask if this old story is resurfacing now to seed the public mind on the massive extent of Israeli espionage operations all over the world in the run up to Netanyahu’s controversial Congressional speech. this video comes highly recommended..very interesting theories..excellent historical points and explanations..thoughts? are the rothschilds the modern jewish messiahs? Brazil has detained a land-grabber thought to be the Amazon’s single biggest deforester, the country’s environmental protection agency said. 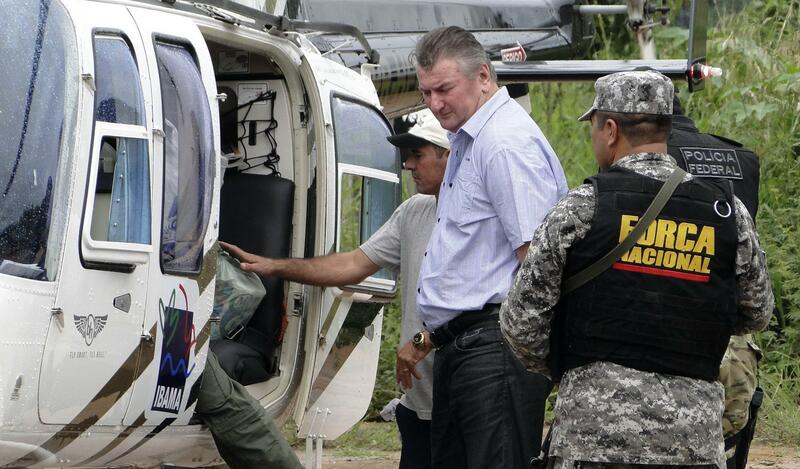 The Brazilian Institute of Environment and Renewable Natural Resources said Ezequiel Antonio Castanha, who was detained Saturday in the state of Para, operated a network that illegally seized federal lands, clear-cut them and sold them to cattle grazers. Castanha will face charges including illegal deforestation and money laundering, and could be sentenced to up to 46 years in prison, the statement said. Such an appeal suggests that the Egyptian leader, who staged a military coup against the former President Mohamed Morsi in July 2013, is requesting a renewed imperialist-led campaign in North Africa, utilizing the political crisis in Libya as a rationale. Cairo is subsidized by the United States Government with over $2billion in taxpayer funds which are largely channeled to the military for joint cooperation agreements with the Pentagon and the Central Intelligence Agency (CIA). Fahrenheit 451, and Dollars–Part 2: Bar the Exits!